exec ssh-agent -t 3600 "$startup"
exec ssh-agent -t 3600 /bin/sh "$startup"
echo "Adding a private key to the authentication agent." 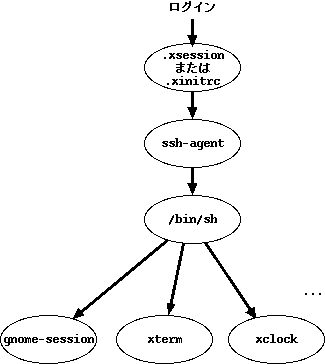 ssh-add -t $SSH_AUTH_DURATION "$SSH_IDENTITY" || exit $? Adding a private key to the authentication agent. exec ssh-agent -t $SSH_AUTH_DURATION sh -c "ssh-add $SSH_IDENTITY && exec $SHELL"
set prompt="%n@%m (SSH) %% "
echo "Sorry, only sftp is permitted." Your identification has been saved in id_seelog. Your public key has been saved in id_seelog.pub. Add correct host key in /home/yusuke/.ssh/known_hosts to get rid of this message.